Is the government “actually” spying on us? Well, almost every American is looking forward to getting an answer about NSA Spying. But other people are concerned about NSA’s spying, too. The idea that the state has been keeping tabs on everyone is sickening and at times, worrying. The right to privacy is in jeopardy, as long as someone else (including the government) is out to watch what you are doing in private. There is a reason why they say NSA is the ‘Big Brother’! In this article, though, I’ll tell you all the things you need to know about spying of NSA’s all-seeing eye and the PRISM. Is NSA Surveillance Program Legal? How Does the NSA Spy on You? In June 2013, revelations came out on how the National Security Agency (NSA) was hacking their way into people’s lives. Edward Snowden, then an employee of Booz Allen Hamilton, a large US contractor for security and intelligence. He obtained and leaked documents that revealed how the NSA monitors citizens and foreigners. The first set of his leaks made a kill in the news, and the stories went viral. The debate about the government that spies on citizens became the talk of the day. NSA spying scandal attracted activists, the state, and citizens. People poured into the streets protesting against the espionage. Social movements urged the government to stop spying on innocent people. Through the White House, the government denied any possibilities of spying on citizens. The incumbent President Obama said that the spying targeted foreigners for defense purposes only. He insisted that the NSA only monitors terrorist activities to prevent attacks. Is NSA spying against 4th Amendment? Yes, it is. The idea that a second party can infringe into your privacy and get away with it is unfair and unlawful. You can have a look at this article to find out what is lawful spying, and what is not. The National Security Agency is the world’s most notorious spy. Their activities are broad-spectrum because they do not care whether you are a kid, adult or senior citizen. In fact, the NSA has been accused of espionage on European, African and Asian networks. That gets everyone to ask, “Is the NSA spying on me right now?” Bloggers have also come with all kind of jokes to bash this federal body. Some of the funniest ‘is the NSA spying on me memes’ have gone viral. It shows how robust the anti-spying campaign is. Anyway, the authorities keep saying that spying is a measure to improve security. But that does not change the fact that they do it against your wish. So, what do they target? Or, how do they carry out the spying? Below is a list of the things that the NSA spies on citizens. If you are in America- citizen, resident or visitor -the National Security Agency is keen to track most of the things you do. They target your data, conversations, and devices you use. Here are some of the things that interest the department. If you are a socialite, then you’ve already given your details freely on social media. The worst thing is that in their annual reports, Facebook, Apple, and Google among other online giants pass these details to the NSA. The information that the NSA targets include emails, chats, and documents. Don’t blame your favorite social media platform yet- through the PRISM program; the law requires that these companies submit user data to the agency. Let’s be frank here – the organization is notorious for using some of the most unconventional ways to track you. For instance, they intercept the distribution of technological devices such as computers only to plant a bug. The NSA also lures software and hardware companies to create firewalls, programs, and protocols with windows that the agency can exploit. These companies include America based VPNs and SmartDNS manufacturers. In fact, reports show that the agency is actively attempting even to hack into the Tor. If you think that the law is here to protect you and not the government, then you got it wrong. The fact that we have a constitution and laws is clear evidence that the government only unleashes the rights it wants you to get. Unfortunately, while sorting out the messages to find terrorism-related stuff, they will also see your texts, listen to your calls and keep your phone records. NSA has a hacking department, the Tailored Access Operations, which has hi-tech techniques to access devices. 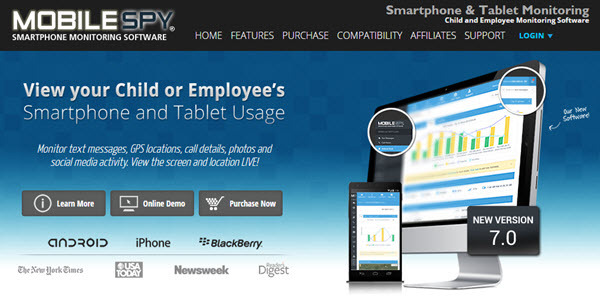 The well-trained team can bypass devices and help the agency to monitor devices, anytime. Apart from hacking the devices, the team also breaks into networks and IT systems as the agency deems fit. Noteworthy, the agency does not major in hacking alone; if they find a loophole in a popular technological product, instead of fixing it, they go ahead to exploit the device and its users. Apart from sitting behind computers to spy on you, the NSA invests in utilizing frequency masts and street cameras. That is how they end up getting pictures of you when in town or at the stores. Using your IP address also, the agency can tell where you are surfing the internet. They are also able to hack into your car and track where you drive. The NSA is not investing in reading your inbox alone; they are also monitoring you from the sky. The agency has a set of high-power airplanes that have surveillance cameras to spy on the principal towns of the United States (and wherever else!). In fact, residents of Philadelphia, Baltimore, and Compton have witnessed either a drone or plane prying in their sky. The National Security Agency is vigil enough to spy on everyone, and the international community is not an exception. It’s not easy to tell why they would want to eavesdrop on the calls of all the 7 billion members of the human species. But one thing is clear – the NSA invests a lot of time and resources to hack the world. Some of the ways the NSA spies the world include those below. For many years, China has been on the frontline in vilifying the United States for hacking into their networks. And all the evidence projects that Beijing is right on this. The NSA has hacked into Huawei and many other companies across the world. That the NSA plants spies on telecommunication providers are now in public domain – they do this to beat their security systems and intercept caller, browser and text data. It means that the NSA has access to every text, call or email that you send or receive while overseas. Optic cables form the glue that connects the eight continents on the earth. These wires carry enormous amounts of internet data, and they run deep down seas and oceans. The NSA is keen with these cables because they contain large masses of information. As part of security partnership deals, the agency teams up with local security agencies to intercept the cables. Sometimes, the NSA hacks optic wires on their own by using submarines to bug the fibers. If you think your credit card provider or bank has encryption, review your thoughts. The agency makes agreements with financial institutions to help track money trails. Where they cannot agree with the remittance providers, NSA hacks banks and card providers. Thus, they have access to networks, gateways, and money transfer infrastructure. It gives the agency the ability to track how, when and where you earn or spend your money. If you want to know how to tell if the agency is watching you, then you must read this carefully. Noteworthy, it is hard to run away from the agency’s monitoring tactics. You see, as long as you are a Gmail, Facebook, or WhatsApp user, then you cannot escape surveillance. But it is not entirely impossible to stay off the NSA’s all-seeing prying eyes. As long as they use technology to pry on tech devices and networks, then it is manageable. In brief, below are simple ways to beat NSA spying techniques. By now, it is clear that the agency is actively spying your Apple, Google, and MSN. Well, many people give out their real details during social media sign-ups. Others even go ahead to post about themselves, and all this information ends up in the hands of the NSA’s PRISM. If you are planning to beat spying, then you need to be a little vigilant. Well, if you Google out how to protect your Facebook from NSA, you are most likely going to get directions on how to delete your account. That is absurd because the idea is not getting social media out of our hands, but instead, to connect safely with friends and followers. Of course, terminating your account may not be the best option, unless you are in total trouble with the authorities. Even then, it is not easy to tell whether your data is submitted to third-party servers before deleting the account. Another option you are likely to get on the search engine is how to enter codes in your browser so that you can run away from NSA. You should not fall for such tips because they claim to set you free, yet end up placing your device in the hands of online hackers. No browser codes will make you invisible (invincible?). If you want to be a safe social media user, then you must break the cocoon. The first action is to reconsider the information you post or feed on the internet. For instance, instead of using your real name, get a pseudo or nickname. Then, avoid feeding the internet with personal data. You may need to explore extensions, Facebook Disconnect, for instance, to prevent the social media platform from submitting your data to third-party servers. Hiding your Internet Position Address tricks anyone who wants to track you. Most websites and tracking networks rely on your IP address to find out where you are. Google and most user-based search engines give results depending on the IP address. The address also comes in handy when sites such as Netflix roll out geo-restrictions for their services. If you change the IP address, then you can be successful in tricking the trackers about your actual location. If you are afraid that the security agents are trying to know where you are browsing the internet from, then you can trick them by channeling your connection to servers in other countries. Programs such as The Onion Ring (Tor) browser confuse trackers because they give you random IP addresses from the various relay nodes in the world. You can also use a SmartDNS or Virtual Private Network (VPN) to hide your IP address. In this case, anyone who tries following your leads ends up finding you on a foreign server, and this makes them puzzled. However, it is nonetheless crucial for you to know if an IP address changing program is on the NSA’s compromise list. I know how bad this news is but, if you are a Bing, Yahoo or Google user, then you are already entangled in the PRISM. If you want to keep off state spying, then you must be sure not to use the large search engines. Instead, go for the less visible but functional search engines. If you want to know something on the internet, try using StartPage or DuckDuckGo. If keeping off Google or Bing is too much for you, then, do not sign in when searching out a keyword. You may also need to have your browsing history cleared before and after using big search engines. 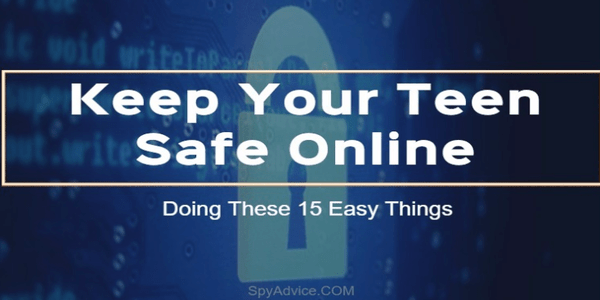 If possible, just don’t use your personal computer or phone to search anything online. You can use a public computer, search without signing in, and then clear your browsing data. If you want to optimize email safety, then you should consider two options. The first involves doing away with the popular email providers, such as Gmail, Hotmail or Yahoo. Mainstream email companies are part of the NSA’s PRISM, and thus, using them is like shooting your very own boot! Instead, try the underdogs such as Rediff or RiseUp. They are less popular but have similar features to Gmail or Yahoo, and they are off the spy grid. Or you can employ the second method, which involves encrypting the emails. It is the most preferred method because it makes your data inaccessible to third parties. Unlike the first option, encryption helps you enjoy the features and pleasure of using Google or Yahoo services. To encrypt your emails, then you can use programs for that. Noteworthy, your recipients must have a software to decrypt the email messages. For the best encryption tools, try using GNU or Good Privacy. Of note, it is not easy to find a perfect way that can keep off NSA’s tracking techniques. Above all, one will save you the time, resources and sweat needed to beat the agency’s espionage methods. That involves throwing your phone or computer away and not engaging with the internet at all. This way, you don’t have to worry about encrypting your emails, social media or securing your browsing. But to do this, you have to be ready to tolerate the loneliness. Whether Edward Snowden’s revelations were heroic or villain is a topic that never gets a direct answer. That is because government surveillance has its disadvantages, and advantages too. Well, any sensible pundit would look at the issue from both the government’s side and that of the civilians. The government sympathizers argue from the security perspective. Those who are against the espionage are user-centric and tend to look into how the privacy of citizens is in jeopardy. In my case, I’d like to give you the two sides, and leave the decision to you. Spying on citizens helps the governments to conduct research. It lets the state to understand how the citizens behave or what they need. For instance, if people below the age of 35 use social media, then the government can use the statistics to know how to interact or make them more productive with such platforms. Such a database is worthy for scientists who want to pursue studies to making life better. Safety is the primary reason why the state spies on its citizens and the fundamental rationale the agency defends mass surveillance. Well, it is hard to find out what attackers are planning against the country. Before you know it, criminals and terrorists might already have their way. Spying steps in to investigate and deter such vices. If anti-terrorism pursuits and saving lives is anything to go by, then spying is worthwhile. If you try to think about how great criminals such as Osama Bin Laden or El Chappo were arrested, then you might begin to understand the importance of spying. The government figures out on how to track, capture and possibly litigate criminals using the information found through spying. Most projections of the future suggest that war could soon become more of Cyber than ground. That was evident in the Crimean Vote. Of course, many militaries in the world may find it worthy to invest in cyber techniques for defense. The NSA knows this, and that is why it is actively involved in spying. And, here are the disadvantages of the agency’s monitoring exploits. No one wants to have someone else snooping on their private chats, even if that person is the government. It feels too horrible to know that someone else watches what you are doing or up to against your will. Well, although it makes sense for the government to protect its citizens, it is wrong to spy on innocent people. NSA’s programs infringe people’s rights and freedoms, and this is not fair. Then, the data is classified, and no citizen can know what kind of information the agency retains. It is both costly to buy and to maintain the spy programs. The people who navigate them also require undergoing expensive learning. All the burden lies on the shoulders of the taxpayer. Instead of coming up with essential modern infrastructure, the government channels significant sums of revenues to monitoring citizens. Socio-economists antagonists find this ridiculous because the money can be used to develop towns and to provide people with jobs. The NSA is not immune to hacking, and if a successful strike targets the personal data they collect, citizens can be in a mess. If a malicious snoop accesses these databases, they could sell it to other powers. Also, the information can be used by hackers to perpetrate criminal groups. In the mildest possibilities, the hacker could make money from selling data to companies. Such issues could jeopardize the security for which the agency purports to stand. If America is indeed a democratic country, why then does the NSA spy on citizens against their will? This question shakes the very tenets that build the country or brought the constitution. Unfortunately, no referendum has been held to get the voice of the people. Another disadvantage of the spying of the NSA is that the data could be used for other unofficial purposes. Well, if the agency spies on people for security reasons only, that is logical. But the loophole is that the information could get to other uses. For instance, private organizations can get hold of the data and further expose citizens. In 1984, George Orwell coined the term ‘Big Brother’ to show how individuals can control other people’s lives. As long as the government sees your chats, calls or emails, it is a matter of time before the state starts controlling the minds of its citizens. In brief, you need to know your rights as far as NSA monitoring is concerned. Well, it is not easy to tell whether the NSA surveillance program should be abolished. But the idea of spying on innocent citizens, and openly lying about it, sends shocks of suspicion. 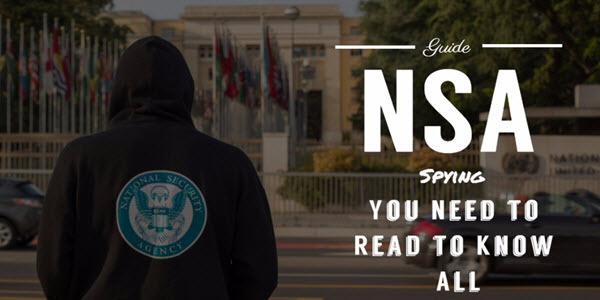 Anyway, for the latest NSA spying news, keep it locked to Spy Advice. Oh, what’s your take about the NSA spying on you? Do you think Edward Snowden is a hero or a traitor? Feel free to talk to us (and many readers like you) in the comment section below.